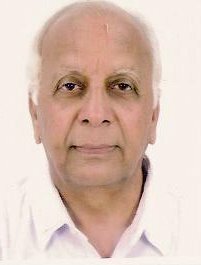 Professor Edathil Prabhakar Menon has been a peace activist from the age of 16 when he took the vow of non-violence and became an ardent follower of the teachings of Mahatma Gandhi and Vinoba Bhave. In his twenties, responding to Bertrand Russell’s call from a British prison for world nuclear disarmament, E. P. Menon set out in June 1962 with his friend Satish Kumar on a monumental, three-year, 10,000-mile journey around the world for peace. The two questions ⎯ ‘Why?’ and ‘Why not?’ ⎯ that provided a foundation for Prof. Menon’s long walk as a young man on his quest for peace [In the E. P. Menon Reader below, click on the URL for Aravind Kesavan’s report in The Hindu, Feb. 10, 2003] have been at the heart of Prof. Menon’s journey since then. From 1968 to 1991, Prof. Menon was part of a unique World Education project called Friends World College, initiated by a group of 20-25 educationists and 'world citizens' from different countries, encouraged and supported by New York-based Quakers. 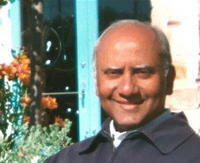 Starting as a faculty member, he later became its director for South Asia. Prof. Menon, who leads the India Development Foundation today, is well-known for his outspoken views not only against nuclear arms but also neo-colonialism, multi-national corporations capturing village markets, water privatization, political and bureaucratic corruption, and discrimination and oppression of any type. He's a regular visitor to the United States, continuing his world peace through world education lecturing mission. Joseph Kaval reports that Prof. Menon is single, lives in a single room provided by Gandhi Smaraka Nidhi, Bangalore, and travels often by bus. • To identify and honor sincerely dedicated and socially committed individuals who have done meritorious work in their respective fields in the overall interest of the country with humanistic attitudes and broader visions. • To identify and help the poor, deserving, oppressed and suppressed women through providing them with simple productive skills and socio-economic political awareness. • To provide encouragement to instill courage and spirit of adventure, to discover latent talents among the youth, and to organize them periodically for undertaking collective responsibility and challenges of constructive nation building activities for a better India in the 21st century. "Think of your humanity, forget the rest." and Hiroshima, from 1962 to 1965. A novel on youth and social activities in India. A novel on women's problems in India. A political novel on the Indian situation in the early 1990s. EPM From early boyhood, I had been very sensitive to human sufferings. Then, I got influenced by the saying of Dr. Albert Schweitzer: "Life is to give, not to take." When I started reading Gandhi and the story of Indian freedom movement, I started thinking that I should involve myself in social revolutionary activities. After seeing and experiencing the world, I have become a WORLD CITIZEN. Then, I got fully involved in the promotion of World Education, under the banner: 'World Peace Through World Education." Therefore, now I feel all human problems are my problems and I must play a positive role wherever I can. EPM My vision of human society was without any artificial borders created by humans which divided human life. This can be possible when full economic justice and social equality will be available to all human beings on Earth. Organized religions and capitalistic systems of economic order are the greatest stumbling blocks towards that destination. the world through the work we do? EPM We should really remember that all human beings are equal and behave accordingly with everyone, wherever it may be. in the remaking of the world? EPM No. But I do find more and more stumbling blocks. In a way they are providing more courage to struggle, and conviction to carry on a global basis. EPM In the present context, it is the unbridled expansion of corporate capitalism everywhere, as well as the inexcusable strengthening of militarism all over the world. EPM Within nations, there must be social, cultural, and economic revolutions based on humanistic values. Globally, the first step should be attainment of nuclear disarmament. Eventually, a world government should be established. EPM Such natural calamities are beyond human control. But, since science and technology has helped us to forecast certain events, more precautions and safety measures could be organized. More than anything else, our sense of social responsibility helps us to do whatever possible at a given time and situation. I have learnt to be humble, alert , responsible, and responsive to human sufferings and conditions everywhere. One starlit night in 1994, two friends C N Keshavan and E P Menon, met after a gap of 40 years. . . .
Bertrand Russell, that master of mathematics and English language, gave a call for total disarmament from his prison cell. Inspired by his writing, E.P. Menon, disciple of Vinoba Bhave, set out on a mission. . . . Here I am with my good friend E.P. Menon from Bangalore, India. In 1962 and 1963 Menon walked (literally) from South India to Moscow, to Paris, to London (crossed the Atlantic by ship to New York), to Washington, DC, to San Francisco (crossed to Tokyo), to Hiroshima. He did this to protest the madness of nuclear weapons. Today, he is Executive Trustee of India Development Foundation in Bangalore. . . . When India became free the entire population was united with a single purpose in mind. To re-build the nation where everyone would have an equal opportunity to live as human beings and collectively commit for the creation of a better society. . . . When the father of Indian freedom struggle bluntly told Prof. Gora, the greatest living atheist of India then: "I can neither say my theism is right nor your atheism is wrong. We are seekers after truth. We change whenever we find ourselves in the wrong.... There is no harm as long as you are not fanatical. Whether you are in the right or I am in the right results will prove. Then I may go your way or you may come my way; or both of us may go a third way. So go ahead with your work I will help you, though your method is against mine". . . . If you truly believe something to be right, then be bold and have the courage to stand up and be counted for those beliefs! These are the strong sentiments of Professor E. P. Menon . . .
. . . "My friend, E P Menon, and I decided to walk for peace to Moscow, Paris, London, and Washington DC [the capitals of the then four nuclear powers]." . . . I found it very interesting to read the details of the interview you did with Professor E. P. Menon of Bangalore. You have a charismatic way of putting probing personal questions to those whom you choose to interview, without invoking their resentment, or creating any embarrasment in them, a quality lacking in many professional interviewers.. Professor E.P. Menon is a marvelous individual, and the monumental world-cross-walk he did to enunciate the non-violent philosophy he learned from Gandhiji, Vinoba Bhave, and their disciples has evoked within me some memorable thoughts of the freedom movement I myself participated and experienced during my undergraduate studies at the University College, Trivandrum, way back in the 1941-42 period. Professor Menon's published works stand out as a profound testimony to his literary prowess and skill as a writer. His non-violent philosophy, acquired through undergoing personal privations and sacrifices, and his willingness to share it with his readers is especially commendable. His works can be easily understood by any literate man-on the-street. While some may comment that the work of the authors he chose to read and digest are controversial, I am glad that Professor Menon's literary work proves that he has not accepted their ideas and philosophies carte-blanche. Indians of any religious persuasion should be proud of a person like Professor Menon. About the Editor: San Franciscan Michael Chacko Daniels, formerly a community worker and clown, and now a re-emerging writer and editor, grew up in Bombay. Books: Writers Workshop, Kolkata: Split in Two (1971, 2004), Anything Out of Place Is Dirt (1971, 2004), and That Damn Romantic Fool (1972, 2005). Read all about his Indian and American journey at http://indiawritingstation.com/community-service-calls/. and not those of the editor or this website. NEW RIVER FREE PRESS INTERNATIONAL: US-INDIA WRITING STATION AND CAREER VISIONS FOR A SMALL PLANET. AGREEMENT: NEW RIVER FREE PRESS INTERNATIONAL/US-INDIA WRITING STATION/AND/OR CAREER VISIONS FOR A SMALL PLANET WILL RETAIN THE FOLLOWING RIGHTS: ALL RIGHTS TO PUBLISH THE ENTIRE INTERVIEW, OR PART(S) OF IT, IN ELECTRONIC, AUDIO, VIDEO, AND/OR PRINT VERSIONS; ALL RIGHTS TO RETAIN IT IN ITS PUBLIC AND PRIVATE ARCHIVES INDEFINITELY; AND ALL RIGHTS TO INCLUDE IT IN FUTURE PRINTED COMPENDIUMS AND BOOKS. THE EDITOR RETAINS THE EDITOR'S PREROGATIVE TO EDIT THE INTERVIEW FOR GRAMMAR, STYLE, CONTENT, AND LENGTH. THE INTERVIEWEE FULLY UNDERSTANDS THAT HE/SHE WILL NOT RECEIVE ANY PAYMENT, EITHER NOW, OR IN THE FUTURE, FOR PARTICIPATING IN THIS INTERVIEW. BY SUBMITTING WRITTEN AND/OR ORAL RESPONSES TO THE ABOVE QUESTIONS BY ANY METHOD, INCLUDING, BUT NOT LIMITED TO, ELECTRONIC, TELEPHONIC, MANUAL, AND/OR POSTAL METHODS, THE INTERVIEWEE AGREES TO THE ABOVE CONDITIONS AND STIPULATIONS. AFTER FIRST PUBLICATION BY NEW RIVER FREE PRESS INTERNATIONAL/ US-INDIA WRITING STATION/AND/OR CAREER VISIONS FOR A SMALL PLANET, THE INTERVIEWEE RETAINS THE RIGHT TO USE HER/HIS IDEAS AND WORDS THAT ARE CONTAINED IN HER/HIS RESPONSES IN THE INTERVIEW FOR ANY PURPOSE WITHOUT RESTRICTIONS. THE FORMAT OF THE INTERVIEW AND THE QUESTIONS WILL REMAIN THE PROPERTY OF THE EDITOR AND PUBLISHER. Feel free to visit, and explore: Fiction, Poetry, Community Service, Homeless, Commentary, & Discussion On The Road To Remaking The World We Live In . . . San Francisco, Grand Rapids, Evanston, Bombay, Kerala, Oakland, Berkeley, Monterey, Bangalore, Calcutta . . .
Feel free to share the above link with others. Sing an Indian Name, on Denver Syntax's free online magazine? on Drexel University's online magazine, Dragonfire? Daniels is donating to university and public libraries, the second revised editions of his three books--for inclusion in their uncensored permanent India, Asia, or World Literature collections. First preference will be given to libraries that currently have the first edition of these books. Ask your local library to request Anything Out of Place Is Dirt (Novel), That Damn Romantic Fool (Novel), and Split in Two (Poetry) today from: Michael Chacko Daniels, Post Office Box 641724, San Francisco, CA 94109, USA. and might bring us together. poetic, often soaring beauty of the writing." and societal healing is also youth's quest." Click here to view entire book on Google Print. as a writer of open heart and keen intelligence. "Don't miss a rich reading opportunity." Don't you love people's stories, their challenges, their struggles to overcome them, their successes, and what strengths and skills they used to succeed? I believe each person's story can be inspiring to all of us. I grew up in India. I am the author of three, beautifully hand-crafted books published by Writers Workshop, Kolkata: Split in Two (1971, Second Revised Edition 2004), Anything Out of Place Is Dirt (1972, Second Revised Edition 2004), and That Damn Romantic Fool (1972, Second Revised Edition 2005). Short stories: Sing an Indian Name, Denver Syntax, June 2005; Three Dozen Mangoes for Mr. Diefenbaker, Dragonfire, Feb. 2006; Life, the 27 Bryant Version, Apollo's Lyre, April 2006; Touch me? Vaya Con Dios inbound on the 22 Fillmore!, Cricket Online Review; The Makeover of Cochin Cohn, Indelible Ink, Jan. 2008; Gobble Village Chic, Hackwriters, May 2008. Read all about my Indian and American journey on my website, US-India Writing Station, at: http://IndiaWritingStation.com/.